Christ Church...founded in 1672...the existing building was built in 1878. We enjoyed Sunday church services there - but also stopped to watch a beautiful bride enter the church on Saturday! A Methodist church in downtown St. Michael's. Ron bought some tickets in an attempt to win this classic Mustang...a fund-raiser for scholarships sponsored by the local Rotary Club. 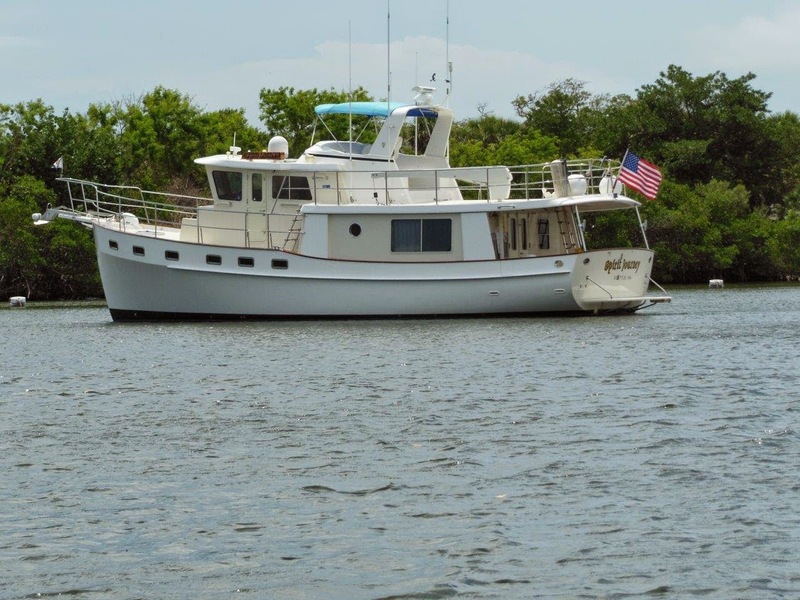 A classic Chris Craft for sale. We enjoyed dinner on the waterfront at the Crab Claw. Still on my quest to find the best crab cake in the Chesapeake. Canadian geese were all over the place! Stained glass inside Christ Church. Sunday brunch on the porch of a local restaurant. The lighthouse at entrance to St. Michael's harbor on the museum's grounds. Gosh, you two look so darn cute and happy! Keep the photos coming! Love them! Love you guys!